Michael Wiescher, the Freimann Professor of Physics and the director of the Nuclear Science Laboratory, has been elected into the Academia Europaea, the Academy of Europe, for a lifetime of outstanding achievements. The Academia Europaea was founded in 1988 as an international association of scientists and scholars who are recognized by their peers as experts in their subjects. The Academy has about 3,500 members, more than 70 of whom are Nobel Laureates. After being nominated by their peers, new members undergo a review process before being elected. “I am honored to have been asked to join the Academy,” Wiescher said. Wiescher’s research interests include the measurement and simulation of nuclear reaction rates, stellar evolution, low-energy experimental physics, reaction physics with stable and radioactive beams, and analysis of cultural heritage artifacts. He joined the Department of Physics in 1986, after earning his Ph.D. in nuclear physics from the University of Munster, Germany, and completing post-doctoral research at The Ohio State University, the University of Mainz, Germany, and the California Institute of Technology. In addition to serving as director of the Nuclear Science Laboratory, Wiescher was the director of the Joint Institute for Nuclear Astrophysics (JINA) from 2003 to 2015, which is a National Science Foundation Physics Frontier Center collaboration among Notre Dame, Michigan State University, and the University of Chicago. He is also an adjunct professor at Michigan State and a concurrent professor with University of Surrey in the United Kingdom. 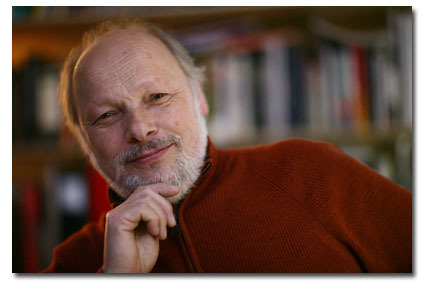 In 2016, Wiescher received the Heraeus Visiting Professor Award of the Johann Wolfgang von Goethe University of Frankfurt, Germany, for his research regarding the synthesis of elements in the universe. A fellow of the American Physical Society and the American Association for the Advancement of Science, he received the Hans A. Bethe Prize of the American Physical Society for outstanding and numerous accomplishments in both astrophysics and nuclear physics in 2003. Wiescher also earned the prestigious Presidential Award at Notre Dame in 2004. During his time at Notre Dame, Wiescher has published nearly 400 papers, has lectured hundreds of times around the world, and continues collaborations with European institutions including the GSI Helmholtz Centre for Heavy Ion Search in Darmstadt, Germany, the National Institute for Nuclear Physics in Gran Sasso, Italy, and the Extreme Light Infrastructure Nuclear Physics Facility in Romania. Originally published by Deanna Csomo McCool at science.nd.edu on October 13, 2017.